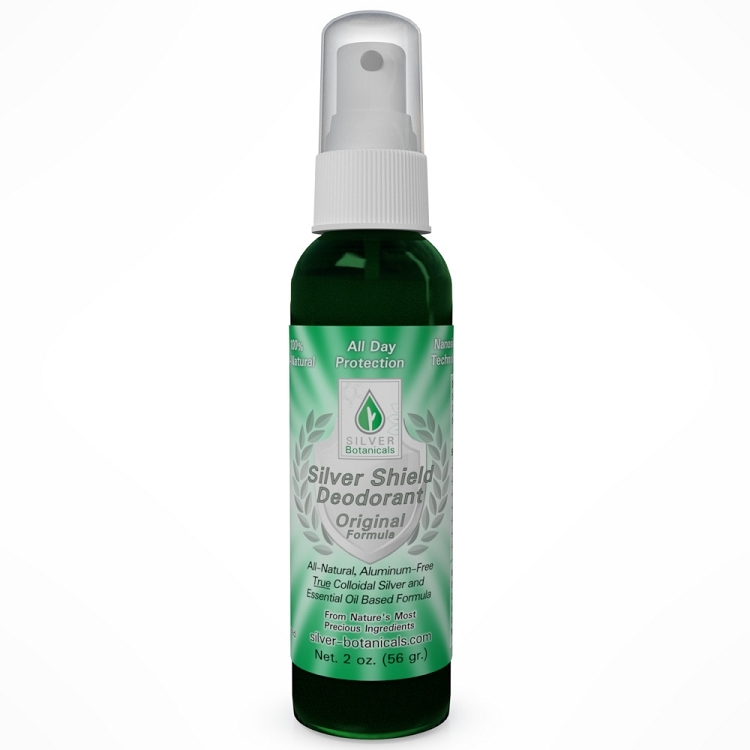 Silver Shield Deodorant Spray-On is an amazing performance all-natural and non-toxic deodorant. 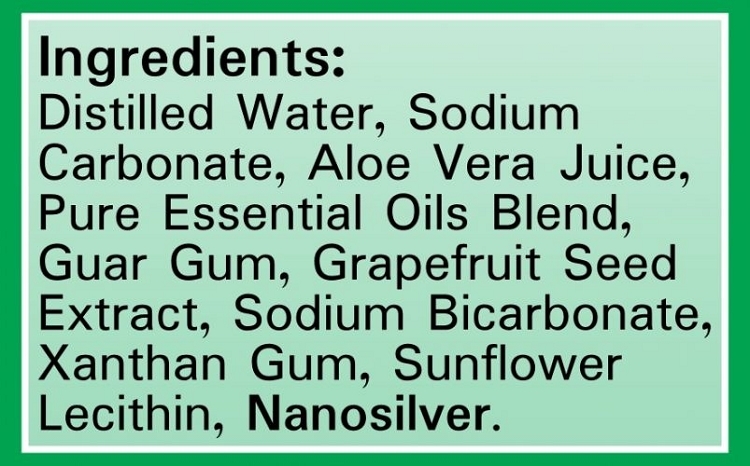 Silver Shield Deodorant original Formula has a blend of 12 pure essential oils which were chosen for their antibacterial, skin-nourishing, deodorizing, sweat-reducing, and detoxifying properties. This oil blend along with true colloidal nanosilver, and other all-natural ingredients, provides for a multifaceted, synergistic solution for all-day odor protection. The Original Formula is also effective at eliminating existing odor and providing mild moisture control. It has a pleasant, herbal scent that typically dissipates within minutes after application. Note: we have found that approximately 5% of our customers find this formula a bit irritating. If you experience irritation with the Original Formula, please try one of the Sensitive Skin Formulas. Don't throw away that bottle! Silver Shield Deodorants are refillable! We currently offer 2X Refills in the formula of your choice, which will refill your 2oz Silver Shield Deodorant bottle (Roll-on, or Spray-on) twice. In the future we plan to offer more refill options for even greater savings and economy.